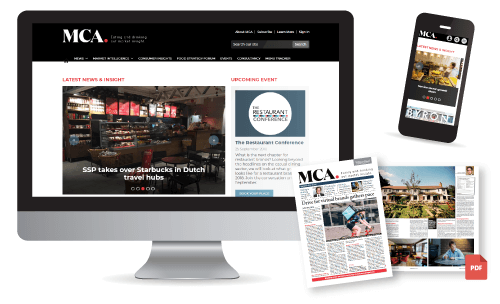 MCA’s Foodservice Delivery Market Report 2018 provides critical market insight on the buoyant UK takeaway delivery sector, including deep analysis of the market’s size, growth and segmentation, competitive landscape and consumer behaviour. Answering crucial questions about the trends and influences driving the success of takeaway delivery, this definitive study also examines how expansion will affect value growth and operator margins within the wider eating out market. If you are an operator already active within the UK takeaway delivery market, or considering how foodservice delivery could contribute to your business development strategy, the Foodservice Delivery Market Report 2018 will give you critical insight to inform your decision-making. If you are a supplier, you will find this detailed analysis an invaluable resource to help you align your products and services. With knowledge of the trends and influences driving growth, you can underline relevance and value in the marketplace.